Find a free helpline in your area. Find a free helpline in your area. The Savior loves each of His Father’s children. He fully comprehends the pain and struggle that many experience as they live with a broad range of mental health challenges. He suffered “pains and afflictions and temptations of every kind; . . . [taking] upon him the pains and the sicknesses of his people” (Alma 7:11; emphasis added). He suffered “the pains of every living creature, both men, women, and children” (2 Nephi 9:21; see also Hebrews 4:15–16). Our thoughts, emotions, behaviors, and relationships can be severely affected by mental health challenges or mental illness. Elder Jeffrey R. Holland reminds us: “If you are the one afflicted or a caregiver to such, try not to be overwhelmed with the size of your task. Don’t assume you can fix everything, but fix what you can. If those are only small victories, be grateful for them and be patient” (“Like a Broken Vessel,” Ensign or Liahona, Nov. 2013, 41). Like a Broken Vessel One in four people in the world will be affected by mental illness at some point in their lives. More than 16 million U.S. adults had at least one major depressive episode in the past year. In 2013, Elder Jeffrey R. Holland offered his empathy and advice to those living with mental health concerns or a diagnosed mental illness. Click here to view personal experiences that others have had living with mental health challenges, or click here to share your feedback about this site. The reality of living with mental health challenges differs from person to person. Symptoms and concerns such as depression or anxiety may be manifest in unique ways, even when individuals have the same diagnosis. We invite Church and community members alike to increase their compassion and support of those who are struggling and take an active role in caring for their own mental health. Watch your words. Your language can change perceptions. Avoid potentially harmful or negative phrases, and choose words that are more descriptive of what you observe. Visit Time to Change or the American Psychiatric Association to learn more. Be a friend. Listen patiently and without judgment when others share their concerns. Help them locate professional resources if they need additional support. Visit HelpGuide.org or Active Minds to learn more. Practice self-care. The limitations of mortality may require us to slow down and restore our strength at certain times (see Mosiah 4:27). It is not selfish to take time for yourself. Visit Mind.org or watch a TED Talk on the importance of self-care to learn more. I feel like something is wrong with me. How can I tell if I’m just having a hard time right now or if I’m struggling with a mental illness? I feel like something is wrong with me. How can I tell if I’m just having a hard time right now or if I’m struggling with a mental illness? An important part of good mental health is the ability to look at problems or concerns realistically. Everyone has days when they feel sad, stressed, anxious, or overwhelmed by life’s challenges. If you continue to struggle for several weeks or longer or your symptoms begin interfering with your daily life—at home, work, school, or in your relationships—seek help. Talk to someone you trust, such as a family member, friend, bishop, or mental health professional. Addressing mental health concerns early can prevent a crisis in the future. Struggling with your mental health does not indicate a weakness in your character or spirit. Elder Neil L. Andersen reminded us that while one’s “earthly situation may not be ideal, [one’s] spiritual DNA is perfect because one’s true identity is as a son or daughter of God” (“Whoso Receiveth Them, Receiveth Me,” Ensign or Liahona, May 2016, 50). I went on a mission but came home early because of my mental health. Did I give up too soon? I went on a mission but came home early because of my mental health. Did I give up too soon? You decided to follow the Lord’s counsel to care for your body, which includes your mental health (see D&C 89). You did not give up. You did not quit. If you were released from your mission because of mental health challenges, you have fulfilled your call to serve, regardless of the length of time you served. If you still have a desire to serve, consider becoming a Church-service missionary. 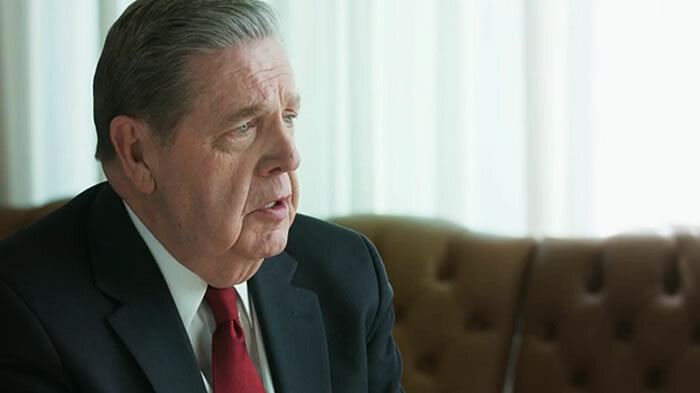 Watch this message from Elder Jeffrey R. Holland for more counsel and encouragement. I can’t feel the Spirit. Is it my fault that I’m struggling? Do I just need more faith? I can’t feel the Spirit. Is it my fault that I’m struggling? Do I just need more faith? Counsel with others. Make every effort to counsel together with your family, bishop, or mental health professional. Thoughtfully implement helpful recommendations. Remember what you knew. Find an old journal entry that describes a spiritual experience or talk to someone you trust. Have that person remind you of personal strengths, spiritual experiences, and testimony that you’ve shared with them in the past. Fill your home with light. Literally turn on lights or sit in the sunshine. Play uplifting music, listen to talks from general conference, look at artwork, or read the scriptures or another good book. Make your home a place of peace where the Spirit can dwell. Check in with yourself. Consider whether or not you can feel anything right now. If you feel numb or disconnected, talk to a trusted friend, family member, or Church leader, or seek professional help. How can I be happy when I can’t feel anything? How can I be happy when I can’t feel anything? Seek professional support. If you have been struggling for several weeks or longer or your symptoms begin interfering with your daily life—at home, work, school, or in your relationships—seek help. Addressing mental health concerns early can prevent a crisis in the future. Celebrate small victories. Success is success, no matter how small the accomplishment may seem. Maybe you raised your hand in class, laughed out loud, or cared enough to hold the door for someone. Keep a list of these moments to remind yourself of these victories when life is hard. Replace darkness with light. Practice replacing each negative thought that comes to your mind with a positive thought. You might also want to choose a hymn or other uplifting music to listen to when negative thoughts arise or ask for a priesthood blessing. Practice self-care. Consider making a change in your daily routine or establishing a deliberate habit. Seek pleasure in small and simple things by noticing the texture of a flower, the flavor of a favorite food, or the beauty of a birdsong. Practice mindfulness or another relaxation technique. Allow your thoughts to turn to God as you give your mind and body time to rejuvenate. Move your body. Physical activity, combined with adequate sleep and good nutrition, will boost your immune system and act as a natural antidepressant. You might want to walk outside, go running, dance, lift weights, or engage in another physical activity you enjoy. See Provident Living: Physical Health (LDS.org) for more ideas. Express gratitude. This doesn’t mean that you deny or ignore feelings of pain or depression; it does mean that you acknowledge the blessings Heavenly Father has given you. Write down at least one thing you are grateful for each day—you might have had a few moments of relief from pain, you might have remembered a time when someone was kind, or you might have appreciated something you saw, smelled, touched, or tasted. I feel so alone. How can I help people understand what I’m going through? I feel so alone. How can I help people understand what I’m going through? Read through the questions below and think about how you would respond. These ideas can be used to get a conversation started. What are you experiencing physically? Talk about your symptoms, such as chronic fatigue, frequent headaches, nausea, restlessness, slower movements or reactions, substance abuse, unexplained muscle pain, or changes in appetite, weight, or sleep patterns. What are you feeling emotionally? Be descriptive—there is a lot going on when you are feeling overwhelmed and struggling with mental illness. Be sure to express feelings such as hopelessness, self-loathing, irritability, isolation, anxiety, sadness, fear, or guilt. Talk about how often you experience these emotions. What do you struggle with socially? Consider how you interact with your family members, friends, coworkers, and others. Talk about any behavioral changes you’ve noticed, such as frequent or unexplained sadness, withdrawal from others, lack of personal hygiene, disinterest in activities you used to enjoy, or less energy and motivation. What makes thinking difficult? Daily life can be especially challenging when your cognitive function is altered or impaired. Discuss any symptoms you may have, such as thoughts of self-harm, indecisiveness, confusion, difficulty remembering things, or thoughts of death and suicide. Talk about how often you have these thoughts and what you wish was different. How can I deal with thoughts of suicide? What’s wrong with me? How can I deal with thoughts of suicide? What’s wrong with me? Thoughts of suicide do not mean that you are weak or flawed or a bad person; they mean that you are carrying intense pain and may need more support to resolve your crisis. When life begins to feel unmanageable or you are struggling with thoughts of suicide, try some of the suggestions below or visit PreventingSuicide.lds.org for more ideas. Tell someone. If you feel unsafe or your life is in danger, contact emergency services immediately. If your life is not in danger, talk to a friend, a family member, or a Church leader, or call a suicide prevention helpline (see the resources below). Sharing your thoughts can relieve a lot of pressure. Trust the Savior. Even if you don’t feel the love or presence of Jesus Christ in your life at this time, you can act on a desire to feel it. You might kneel down when you pray, pray out loud, ask for a priesthood blessing, or talk to your bishop. Make your home safe. If there are things you are thinking about using to harm yourself, remove them or have someone else take responsibility for them. Minimize the time you spend alone, and have a conversation with someone you live with or trust. Consider with this person what precautions make the most sense for you in your situation. Set small goals. Each day, write down at least one task or goal for the next day. Keep it simple and attainable. Setting and working toward small goals can help you find a sense of control when everything seems unmanageable. It’s hard to see my loved one struggle, and I really want to help. What can I do to support them? It’s hard to see my loved one struggle, and I really want to help. What can I do to support them? Keep communicating. Talk to your loved one the same way you did before their symptoms became noticeable or before their diagnosis. Ask questions instead of guessing what might be helpful. Understand limits. Mental illness can reduce energy and motivation. Recognize that it may be hard for your loved one to read, pray, or participate in activities with others. Keep inviting them to do these things, but don’t take it personally if they turn you down. Practice self-care. Stress can be very harmful to your health. Take time to care for yourself by doing something you enjoy each day—you might take a few minutes to read a book, listen to music, sit in nature, or draw something. You might also consider talking with your bishop or visiting or home teachers or attending a support group in your area. Show compassion. Express your concern for them and offer your support. Don’t minimize their struggle, and don’t compare their experience to someone else’s. Telling them to “snap out of it” or “try harder” is not likely to help and could just add strain to the relationship or cause further discouragement. My loved one seems more depressed or anxious than usual. Should I be worried that they might attempt suicide? My loved one seems more depressed or anxious than usual. Should I be worried that they might attempt suicide? Looking for a way to kill themselves, such as searching online or buying a weapon. Learn more about suicide and how to prevent it at PreventingSuicide.lds.org. I feel exhausted from worrying so much about my loved one. How can I take better care of myself and still be supportive? I feel exhausted from worrying so much about my loved one. How can I take better care of myself and still be supportive? You may feel that you are answering the Savior’s call to “bear one another’s burdens” and "comfort those that stand in need of comfort" (Mosiah 18:8–9), but He has also taught that it is not necessary for us to “run faster than [we have] strength” (Mosiah 4:27). Find a balance between meaningful connections with other people and appropriate boundaries in your own life. There needs to be a time and place to address the concerns of a loved one, but allowing those concerns to dominate your thoughts and efforts is not healthy. Consider trying one or more of these suggestions to start creating balance in your life today. Counsel with others. Make every effort to counsel together with your family, your bishop, or a mental health professional. Thoughtfully implement helpful recommendations. Maintain your health. Establish healthy routines for sleep, nutrition, exercise, and personal worship. Ask for help. There will be times when you can’t do everything you wish you could to help your loved one. Heavenly Father does not expect you to do everything. He has taught that “to every thing there is a season, and a time to every purpose under the heaven” (Ecclesiastes 3:1). Learn to ask for and accept support from your family, your friends, your Church community, and Heavenly Father. How can I take care of my own mental health? How can I take care of my own mental health? You have been blessed with unique abilities and strengths that you can use to help care for your mental health. Try a few of the ideas listed below or think of something else that you can do regularly to help you feel rejuvenated. Be still. Set aside a time and place to quiet your mind. Express gratitude, practice mindfulness, or use another relaxation technique. Allow your thoughts to turn to God as you give your mind and body time to relax. Build relationships. Social connections with family, friends, and others in your community can increase your happiness and physical health and may reduce the incidence of mental health challenges. Remember, it’s the quality of the relationships you have that’s important, not the number. Find joy each day. Seek pleasure in the small and simple things by noticing the texture of a flower, the flavor of a favorite food, the song of a bird, or the energy of a pet. Take care of your body. Eat nutritious food, get enough sleep each night, and exercise regularly as you are able. What causes someone to get a mental illness? What causes someone to get a mental illness? Is recovery from mental illness possible? What treatment or medication is best? Is recovery from mental illness possible? What treatment or medication is best? Yes, recovery from mental illness is possible. Because the realities of living with mental health challenges vary greatly from person to person, it is impossible to recommend a single course of treatment or medication. Counsel with someone you trust, such as a family member, a friend, your bishop, or a mental health professional. Prayerfully consider your options, and take an active role in your own recovery process. Despite your challenges, you can lead a fulfilling life, hold Church callings and serve in the Church, contribute to your community, and build meaningful relationships. Where can I find more information and Church resources on related topics? Where can I find more information and Church resources on related topics? The Church of Jesus Christ of Latter-day Saints has many helpful resources for those who struggle with issues related to mental health. You can learn about specific topics of interest by visiting the Gospel Topics section of LDS.org or by clicking on the links below. Learn how to prevent suicide and minister to someone in crisis.